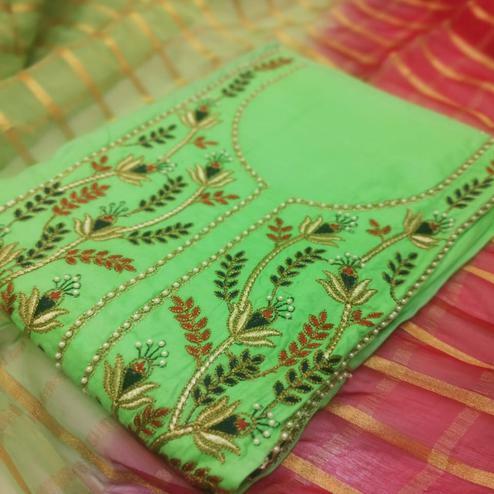 Green semi stitched straight cut style cut prettified with embroidered work done all over the georgette fabric kameez. 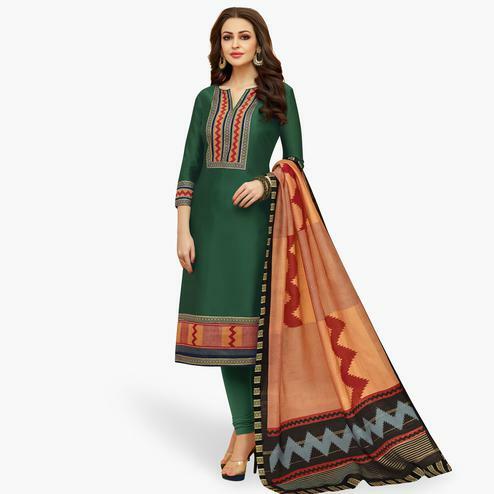 Matching color lace work chiffon dupatta and cream bottom with schiffli work comes along with this suit. It's a perfect dress to buy for parties and functions. Get this suit now before someone else gets's it and wear it.